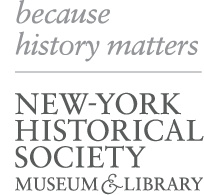 The New-York Historical Society is offering full-time, eight week internships in both our museum and library divisions. From modeling creative exhibition layouts to researching with our curators and educators, college and graduate interns experience unparalleled career development and cultivate fruitful professional relationships. Applicants who are selected to participate in this rewarding yet demanding experience will either be paid a stipend of $3000 or receive academic credit, depending on the intern’s school requirements. The summer internship program will run June through August (unless otherwise specified), and interns may work up to 280 hours throughout the duration of the program. *It is important to read the individual job descriptions as some departments require other materials in lieu of the writing sample. If the internship that you are applying for is being offered for credit, you must submit written confirmation from your college stating that you will receive credit for hours completed. Please note: Applications that are not complete and submitted by the appropriate deadline (including two letters of recommendation) will not be accepted. Applicants being considered for the internship will be contacted for an interview.